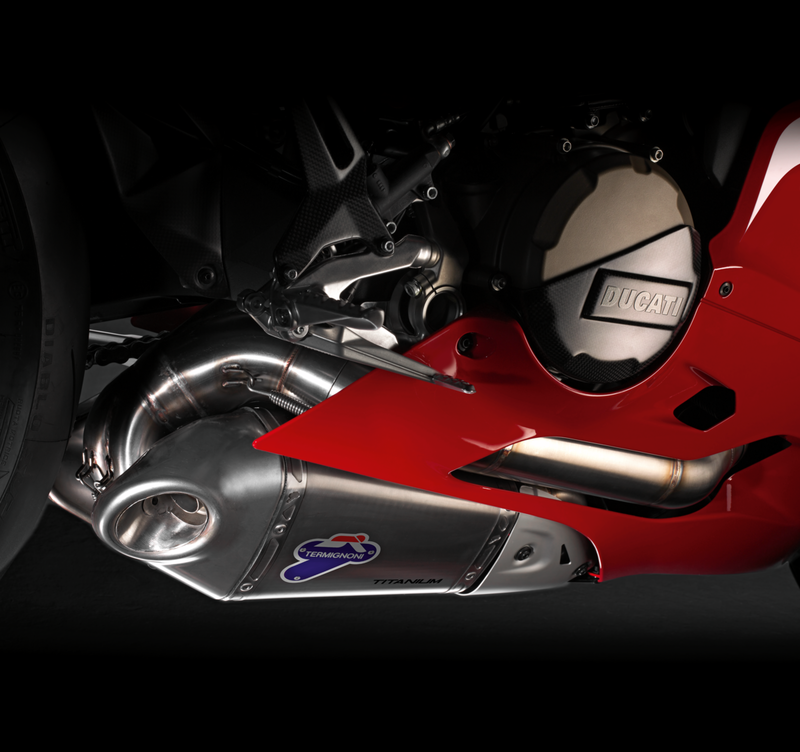 Racing silencers with titanium sleeve. Produced by Termignoni. Provided with removable dB killers. End manifold body and hardware Up Map key for the dedicated mapping loading are included in the supply. 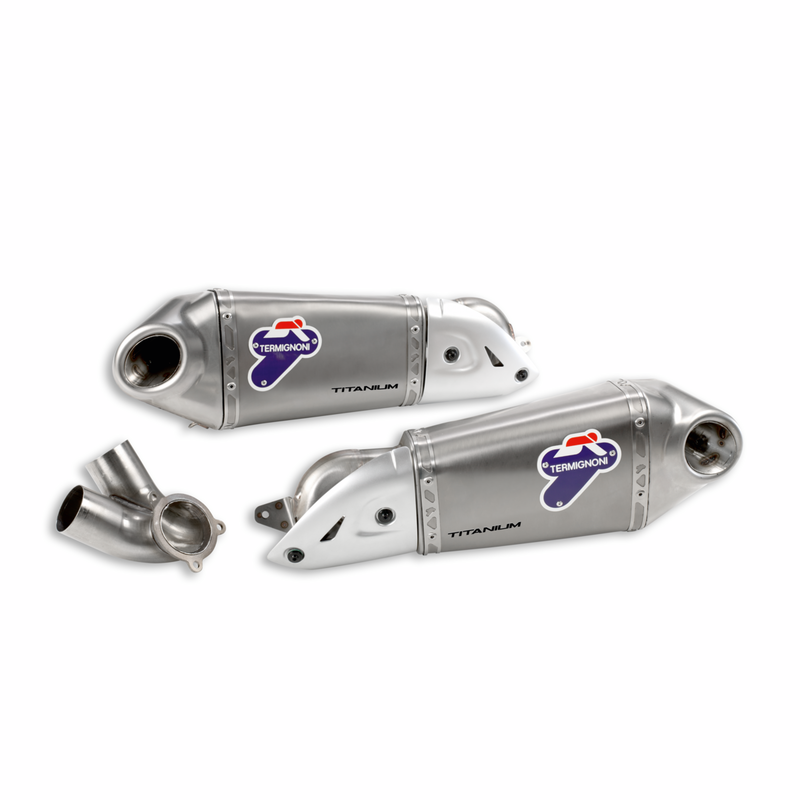 This kit ensures a weight reduction of about 1.5Kg compared to the standard exhaust system.